Questions about Kichler Lighting 42338CH? The classical, yet fresh design of this 4 light mini chandelier from the Rizzo collection offers a shimmering twist on traditional taste. Brilliant-cut crystal charms add a delicate touch to the refined Polished Chrome Finish. 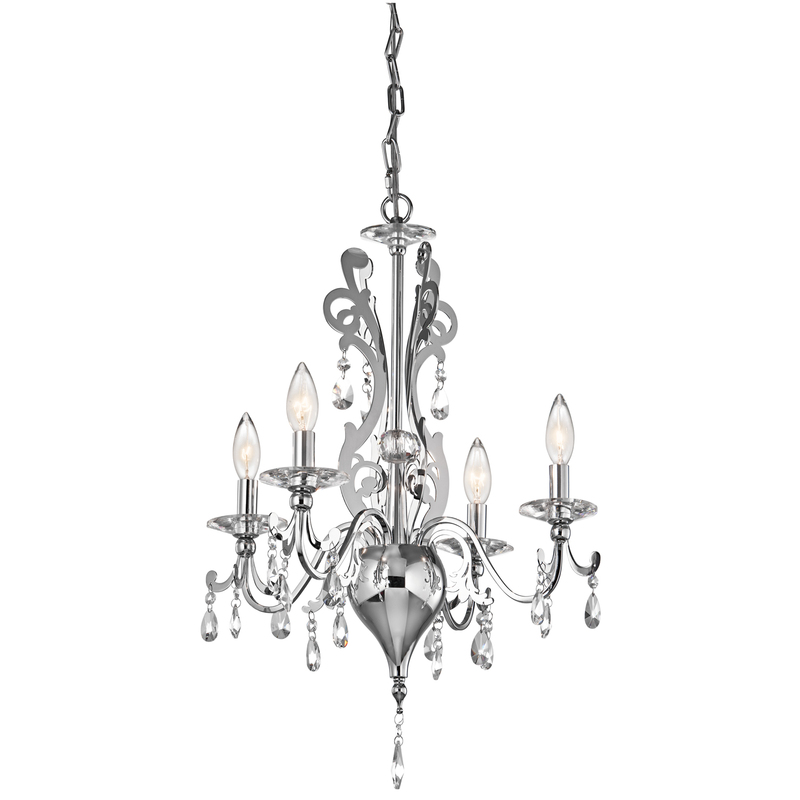 The intricate column and romantic curves will bring grace and subtle decadence to any home. Dimensions: H 25" x W 18"